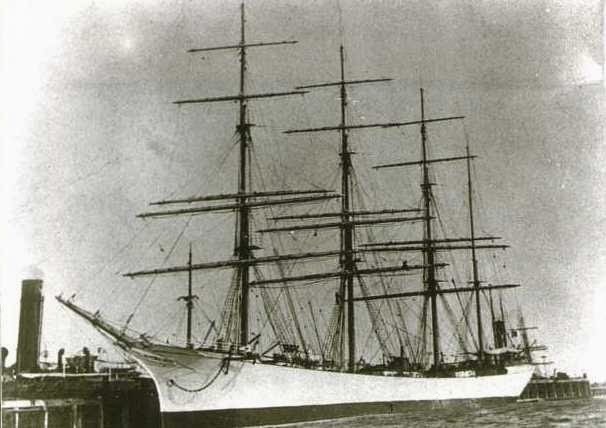 Built in Genoa, Italy in 1903, the four-masted, steel-hulled barque Erasmo (Erasmus) sailed from Europe to Australia and to America. We have massive downloadable ship plans of her as well as quite a bit of info on our page about her. By the end of the 18th Century, the term ‘barque’ referred to a specific sail plan of three or more masts with fore-aft sails on the aft-most mast and square sails on the others. 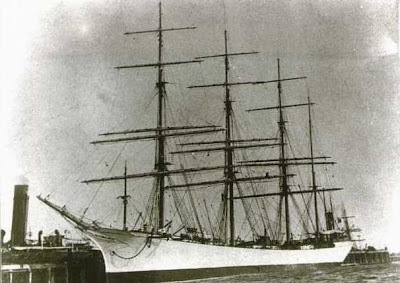 Barques could nearly match the speed of ship-rigged clippers, and surpassed the performance of schooners and barkentines. They could operate with smaller crews than a full-rigged ship as well, making them more economical to operate.